Robert Porter Lynch may be one of the best trust thinkers you haven’t heard of. A long-time thought leader in strategic alliances, he has written several books on collaboration and innovation. He quotes Robert Frost, has studied how the Greeks created trust, and counter-balances Machiavelli. He is equally at home with high tech companies and with laborers in the trenches. CHG: Welcome to the Trust Quotes series, Robert. You cover a range of trust-related topics, but let’s start with one. You talk about the strong link between trust and innovation. Can you explain that link to us? RPL: Absolutely. All innovation comes from people who think differently — that is, one perspective meets another, and something new can be born. If two people in the same room think alike, one is unnecessary when it comes to innovation,. The eminent psychologist, Carl Gustav Jung wrote: The greater the contrast, the greater the potential. Great energy only comes from a correspondingly great tension between opposites. But two differing perspectives don’t automatically create something new, and all too often the differences become destructive: like Republicans vs. Democrats, old vs. new, my way or the highway. So the art becomes: how can you increase the creative aspect of interactions between opposites? And the answer is trust. When this tension exists in a trusting environment, people’s creative juices are aligned, and they become jointly innovative, thus trust is an alignment of human energy. This aligned energy is also referred to as synergy – something that is so often elusive in organizations and relationships. CHG: That’s fascinating. Earlier in this series, Ross Smith of Microsoft said very much the same thing. Are you two in cahoots? RPL: Nope, never heard of him, but that’s how memes work. That and he’s obviously an insightful man! CHG: Well, how does creating greater trust enable greater innovation? RPL: Turns out that’s a great question. Let me re-tweak it a bit, if I may. The question is: how can teams act at the highest level of performance? And the reason I phrase it that way is that there’s solid evidence to show that the highest team performance comes from trust. 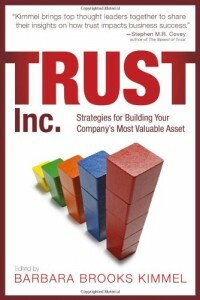 So high performance teams ought to know something about trust. CHG: Where did you look, and what did you find? RPL: I spent 2 years looking over the worst-to-first instances in sports: such as Vince Lombardi’s Green Bay Packers of 1960 going from the bottom of the league to the Superbowl, or Pat Riley taking the L.A. Lakers to the NBA championship, or the most exciting of them all — arguably the greatest worst-to- first performance of all time, the 1980 American hockey team that won Olympic Gold against all odds, culminating in a win over the monstrously dominant Russian team. One thing people forget is that Coach Ross Brooks — a man who had himself had been turned down from an earlier Olympic team — turned down a player who himself had more talent and better credentials than probably any other player on the team. ‘Why not?’ asked the coach. “Because he doesn’t give 100%,” the team said. That’s why in hockey they still call Wayne Gretzky the “Great One:” because he not only scored more goals than any other player, he also had more assists – he was the ultimate team player. And it is this sense that permeates all great teams. They trust each other; they trust each other to give the utmost to the team. Which means, everyone can rely on everyone else’s motives, and everyone can trust the results. Unqualified commitment by each member of the team drives trust, and trust enables high performance. CHG: I get it. So, where are some lessons for business? RPL: Well, you’d think way more businesses would grasp the obvious economics of collaborating — cross functional teams, innovative supply chains, alliances and joint ventures, for example. But very few companies do them right—because they don’t trust, because they don’t know how trust is created or destroyed. CHG: How does that play out? RPL: Todd Welch and I researched this; and the one thing we found was that unless there is trust at the top of the organization, collaborations don’t work. When trust is lacking, legal agreements are erroneously expected to fill the gap. And, of course, the longer the legal agreement, the stronger the distrust, because nearly all legal agreements actually generate more distrust, exacerbating fears and thus making it less likely the venture would succeed. You could make book on it. CHG: You told me a story of a client who does major huge deals on a handshake basis. What’s the real story behind that one? RPL: That is the real story. The only thing surprising is that the rest of us consider it surprising. The company is Daymon Worldwide, which provides private label brands to the grocery industry. I’ve seen Du Pont and Merck put a billion-dollar joint venture together on a handshake, and the legal agreements followed a year later. I witnessed Fleet bank enter a multi-million construction of their headquarters on a handshake with Gilbane Construction company. Handshake deals are far more common than many think. CHG: You have developed a couple of models for thinking about trust; can you tell us briefly about them? RPL: One of the primary reasons trust has been an elusive mystery is because we have either ambiguous or complicated understanding about why humans act the way they do. Recently Paul Lawrence has cracked the code on human behavior and provided a very elegant way of explaining what others have made so convoluted. Anyone from senior execs to high-school students grasps it in about five minutes: Here’s a brief explanation. CHG: What’s your view of the connection between trust and ethics? And what’s the state of ethics in business these days? RPL: It goes without saying that ethics are in an abominable state of affairs, but I’m not sure that’s really different. Washington is better now than it was in the 1870’s, and business is probably no worse than it’s ever been. That’s an empty compliment because poor trust is very, very expensive. The biggest problem with ethics is the illusion we all have that good ethics would cure the problems of distrust. Ethics actually creates a dilemma for building trust. While the lack of ethics will definitely destroy trust, the presence of ethics may only bring trust to a neutral point. Good ethics implies “I won’t do something wrong;” it takes the fear out of the picture. But it doesn’t mean “I’ll be effective,” nor “use sound judgment,” nor “be collaborative,” nor “compassionate,” nor “spontaneous.” Other things are necessary. We all know ethical people who are ornery, dispassionate, inconsiderate, self-righteous, or uncooperative; thus while “trustworthy,” they are still not able to generate a trusting relationship. Trust embraces far more than ethics. Real trust comes from people who are willing to be highly cooperative as well as ethical. Trust manifests when three things are boldly present: good character, good competence, and good collaboration. 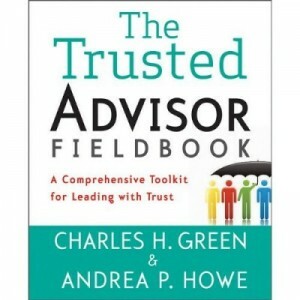 When we see great trust, we see people who know that their self-interest must always be put into a bigger picture: what’s in the mutual interest of the relationship itself. This is the second installment of Trust Quotes, our new series featuring interviews with leading thinkers and practitioners in the world of trust: people who apply trust in powerful ways in business and society. What a Trust-based Company Looks Like Impeccability vs. Perfection: Who’s Got Your Back? PSA Healthcare is a fine example of what can done when trust is a key core value.